We are Scotch Corporation, a Dallas based, third generation family business that specializes in household consumer products. Recently, one of our Product Development Managers was on a hunt for Kitchen and Bath cleaning products. Her goals were simple. First and foremost, she is a mom and wife so the products had to be gentle enough for her young girls, her husband and of course the family pet. Second, they had to be highly effective, kill bacteria and not cause allergies to act up. Third, they shouldn’t smell like traditional cleaning products. The fragrances should be pleasant and not overpowering. Fourth, they are reasonably priced and fit her budget. And last, they should look nice on her counter, nothing industrial looking because this is her home. Out of the dozens of brands that are currently on the shelves, she never found what she was looking for… so Scotch Corporation went to work and created hom®. 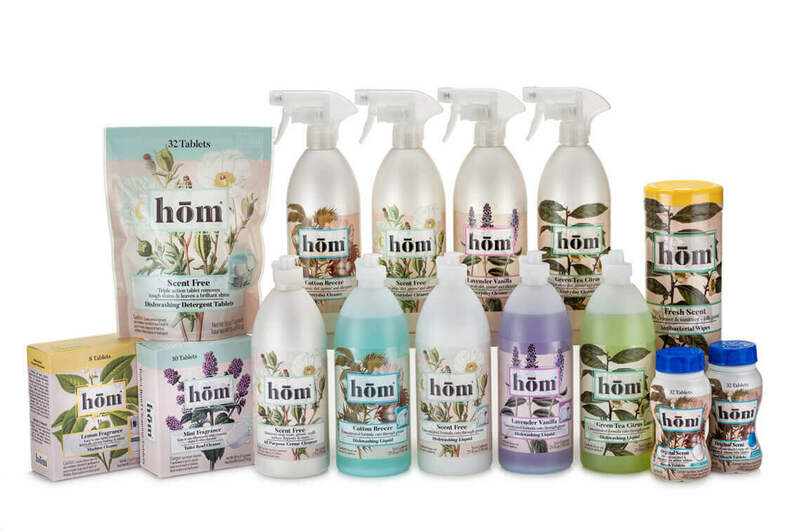 At hom, we know that life’s little messes don’t stay that way for long. We say yes to an everyday clean that leaves your home smelling fresh with products that are gentle enough to use on all surfaces and won’t cause your allergies to act up. Make your home a happy place. Everyone deserves that kind of clean.